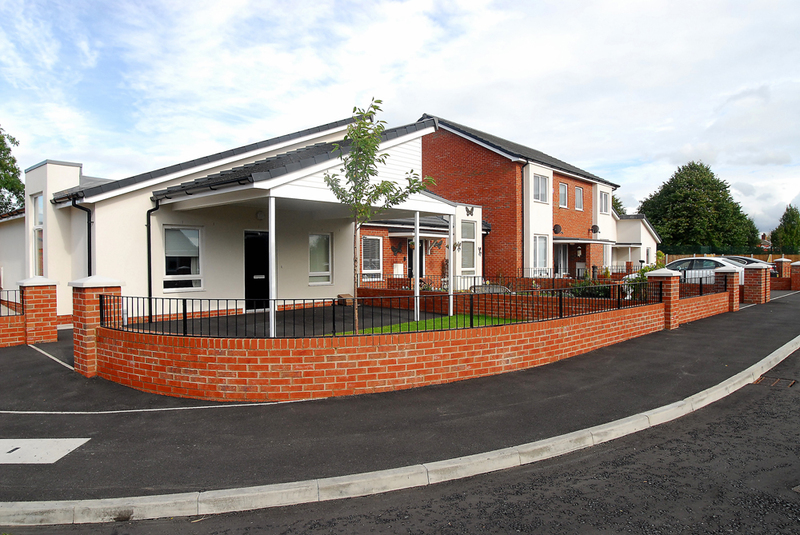 A development of 13 houses constructed in conjunction with a 15 bed dementia unit. 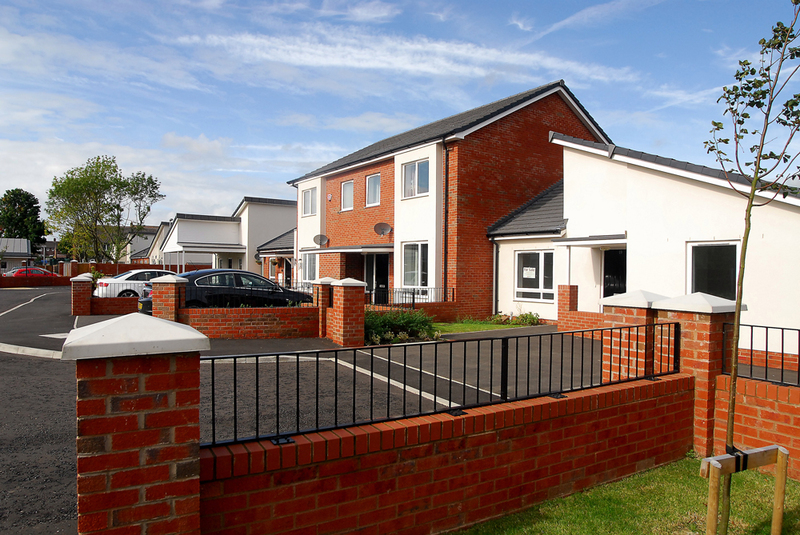 The houses are a mixture of 2/3 bed bungalows, some with integrated car ports and adaptations and 2, 3 and 4 bedroom houses, all for either social rent or part ownership. 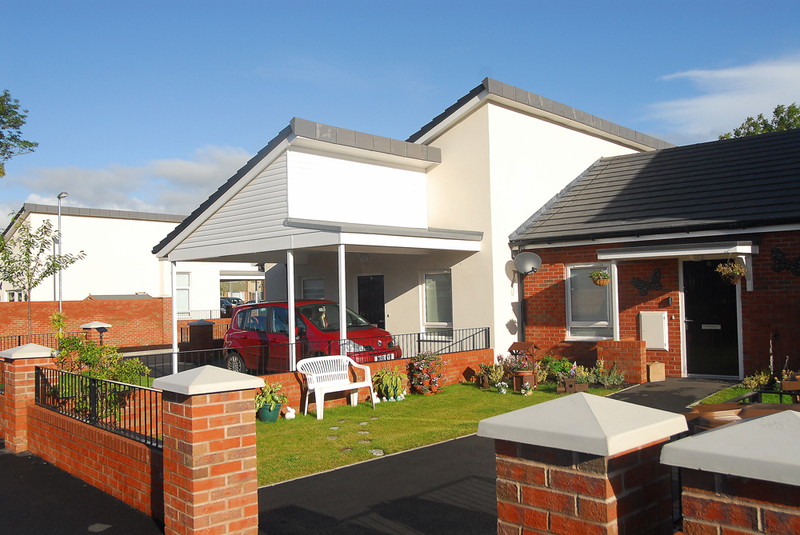 It is intended that the residents of the houses may use the Dementia Centre for respite care and support, thereby allowing a couple where one is suffering from dementia to remain independent but supported. All the houses meet Code Level 3 of CfSH which necessitated integrated Rainwater Harvesting, Lifetime Homes and Secured by Design.